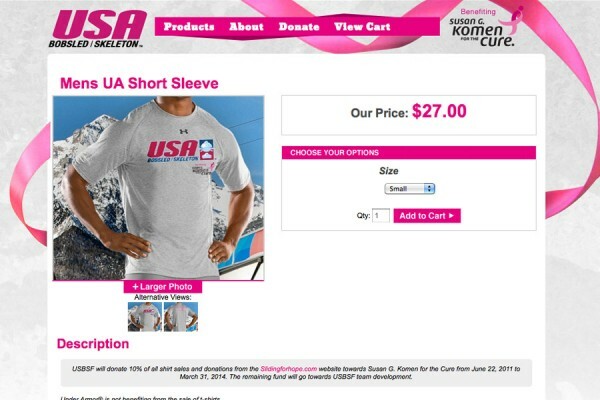 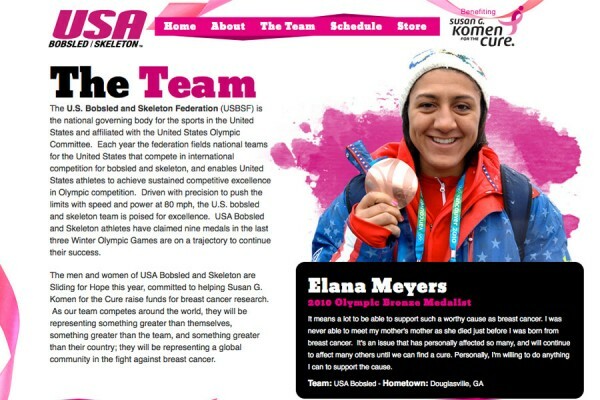 For a minimum donation of $50 you can put your name or the name of a loved one who may be battling or has lost their fight to breast cancer on the official Susan G Komen US Women’s bobsled which will compete internationally during the 2011-2012 season. 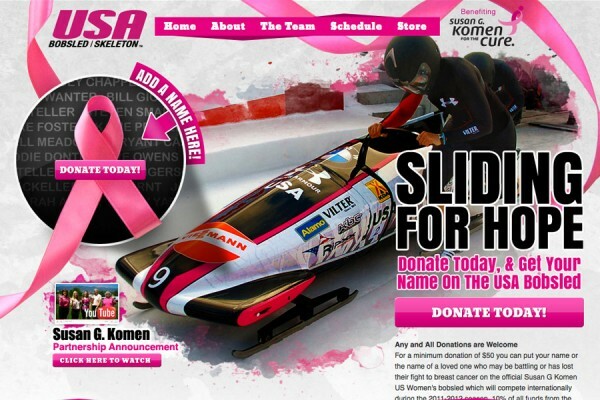 10% of all funds from the Sliding for Hope website will benefit the Susan G. Komen for the Cure® Global Promise Fund, which is dedicated to reaching underserved people around the world in areas where breast cancer death rates are highest. 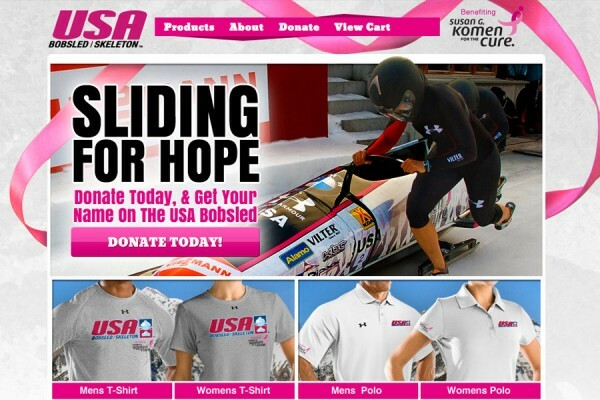 The remaining donations will benefit USBSF teams to aid in funding for team development and growth as they strive towards the next Winter Olympic Games in Sochi, Russia in 2014.